Kinship represents our organization because it focuses our attention on our common well-being and interrelatedness. Join us each week as we explore important issues about life and well-being. Our videos are found on our Patreon page. We present on topics related to personal and community well-being. This includes classes on mindfulness, character and yoga, to updates on nuclear waste being stored at a local beach. If you are excited about our focus on well-being and want a more personalized approach, contact us for our mentoring and coaching options. 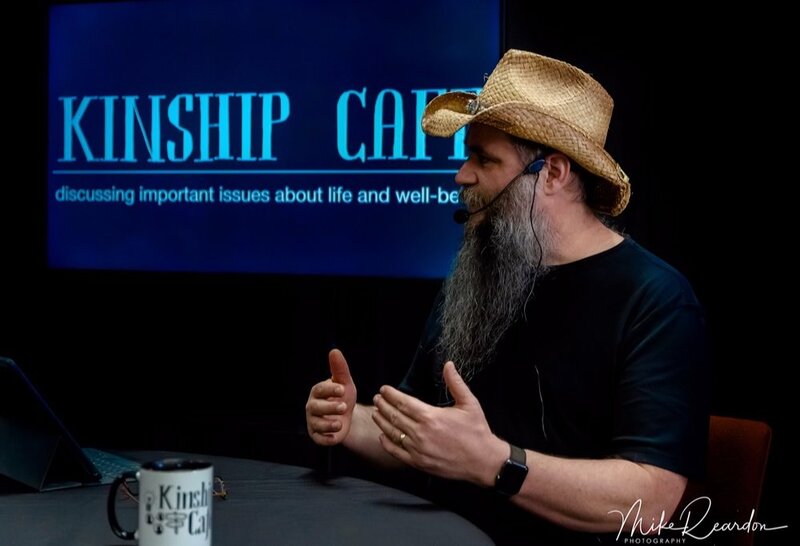 Join the Kinship Cafe Community! Membership brings you into the family of Kinship Cafe and our vision to make our world more beautiful, peaceful, and compassionate. Join us today to keep the momentum going for our unique offering of socially conscious programs and celebrations for just $1 per month! Better planning for more enjoyable events! Join us in becoming people who appreciate beauty, create peace, and celebrate compassion!